1- Did you know that Koi and Goldfish aren’t the same species? Koi are descendants of common Carp and weren’t selectively bred until the 1800’s. 2- Goldfish were bred for their beauty and were prized by collectors 100’s of years before Koi were developed. 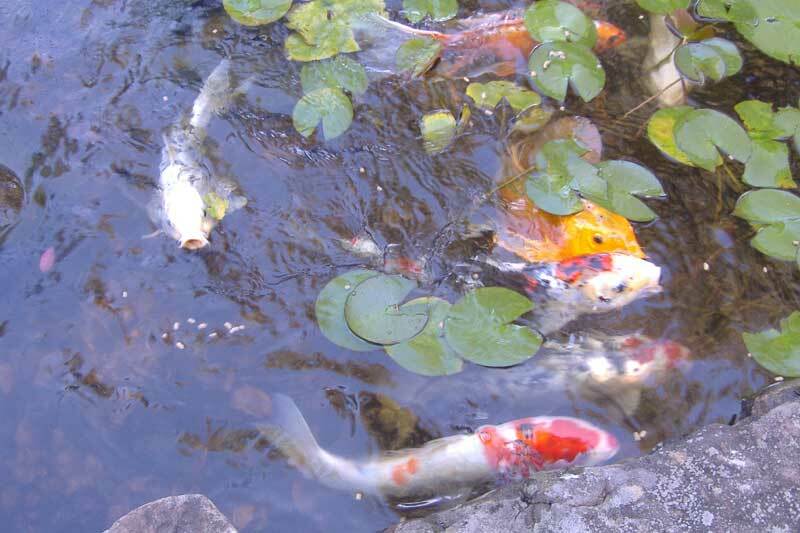 3- Koi were originally used as a food source. They were originally brought to Japan for this sole purpose. 4- Koi get MUCH larger than Goldfish! 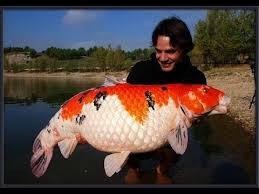 The largest measured/recorded Koi was 4 feet in length & weighed over 90 pounds! WOW! 5- Koi can live a LONG time! The oldest recorded Koi was named ‘Hanako’, (pronounced han-nah-koh) which means ‘Flower Maid’ in Japanese. Hanako lived to be 226 years old! WOW! 6- The aquatic plants in your Koi Pond not only look beautiful and provide natural habitat, they help provide much needed SHADE! Koi sunburn badly! 7- Koi LOVE different foods! Try feeding them lettuce, peas, watermelon and oranges! It’s time to feed the fish 🙂 Try something different. 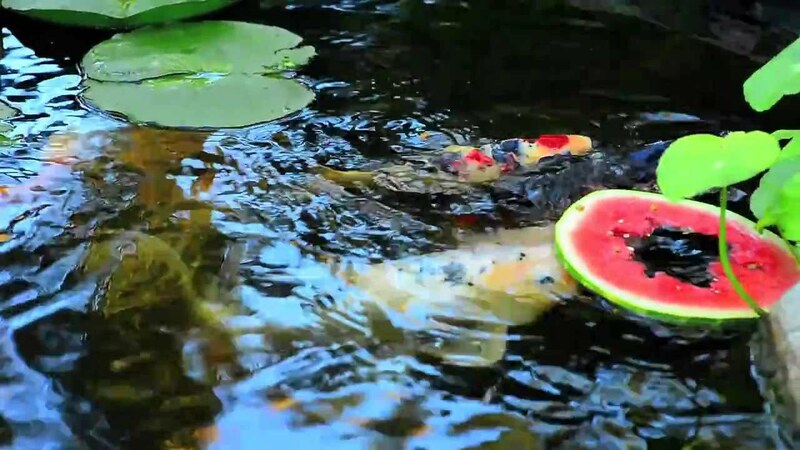 Koi LOVE fresh fruit and veggies too! 8- We love them for their bright,beautiful colors, but, their colors make them a target for predators like Herons and other birds of prey. Install a ‘Fish Cave’ to give them a place to hide from danger. 9- One female Koi can lay as many as 50,000 eggs during a breeding season! Up to 50% can hatch… WOW! That’s a LOT of babies! 10- Koi are intelligent and trainable! You can easily train your koi to eat from your hand and to ring a bell for a treat! Prety Cool! I LOVE learning more about my finned friends and I hope you do too!